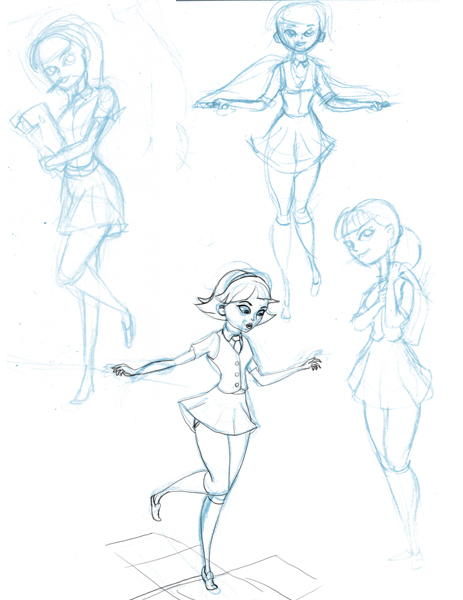 So this guy Xav (who is an awesome illustrator) posted a new thread on school girls. Growing up in a Catholic school for eight years i had to contribute. 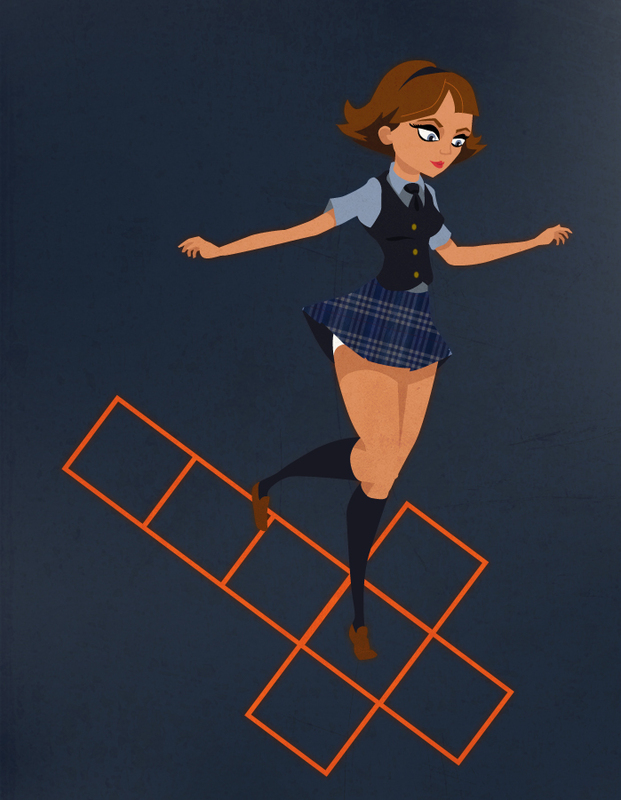 I really like the 2-D hop scotch squares. I like that 2-d 3-d play. I did another variation with a different mouth and slightly different eyes maybe I’ll post it.